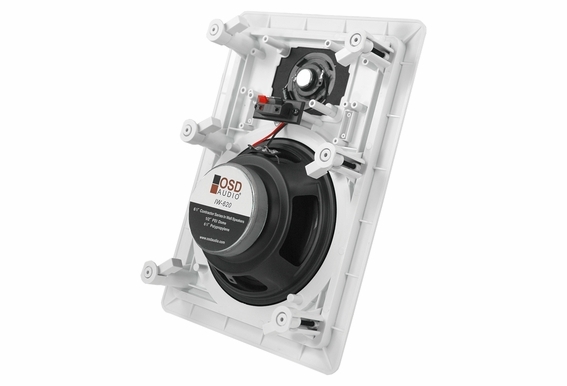 OSD Audio IW620 -- a cost-effective and powerful wall speaker for whole house audio. 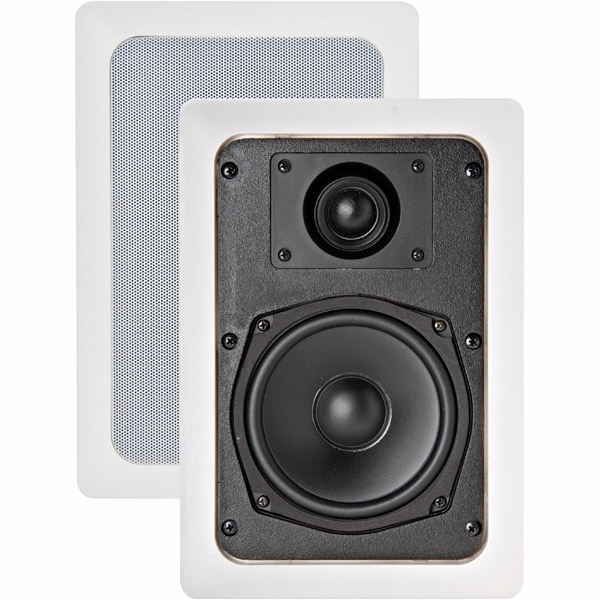 These speakers install easily and can be painted to match your room decor. 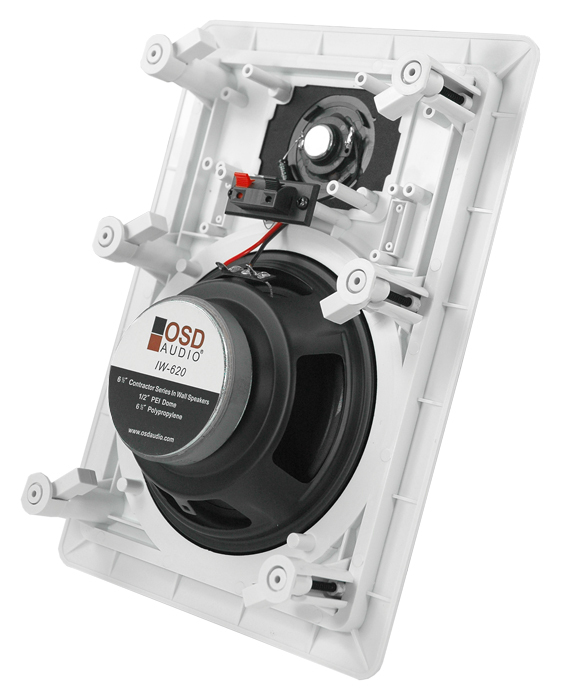 Customers are often astounded by the sound quality this speaker, at this price range, can produce; however, we invested in the components such as the 6.5" polypropylene woofer for excellent low frequency. 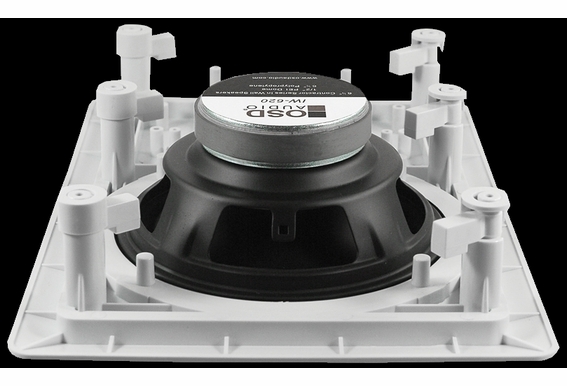 This model will deliver high power and clear sound for just about any room in the house. 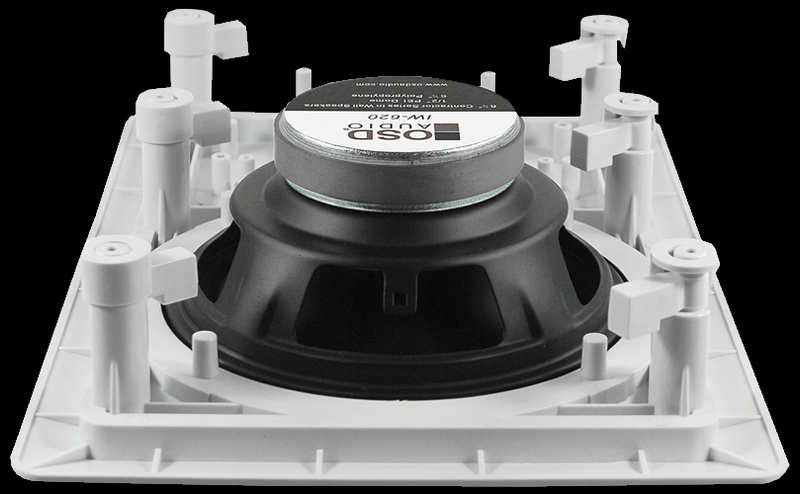 Unit Dimension: 8 5/8"" x 12"
Cut-Out Diameter:7 5/8" x 10 13/16"
Mounting depth (assuming .5" drywall): 3 3/8"
OSD Audio IW620 -- An extremely powerful and cost-effective wall speaker for distributed sound throughout the home. Could these serve as real channel speakers for a 7.1 home theater? The ones currently in use are underwhelming and smaller than the others These are closer to the specs of the rest of the system. What are the resonant frequencies of the bothe the tweeter and the woofer? Since I cannot see a 2-way passive crossover, does the IW620 work well without a 2-way passive crossover? Are they indeed IN-WALL speakers or IN-CEILING speakers? The 2 are totally different . Is this a pair of speakers? Do the speakers come with a mounting bracket for new construction? 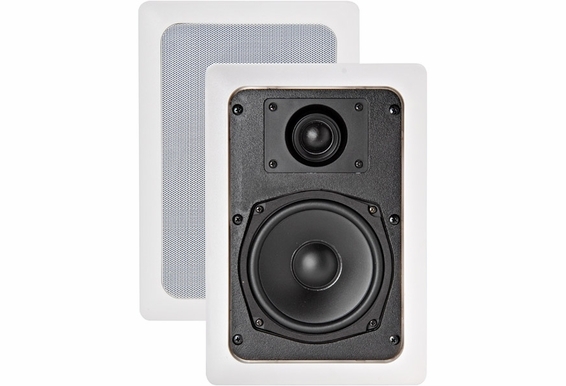 Need a pair of wall mount speakers that look like this for mounting in outdoor area. Are these speakers waterproof or can you recommend similar that are? Are these loud enough for outdoor use?